It’s saves mini-series week here at RotoGraphs! We tried one look into whether or not bad teams provide save opportunities, and then we tried another. We looked at lefty closers. The results seem to indicate that bad teams are almost as good as good teams at providing save opportunities, and managers don’t seem to prefer lefty closers. But ‘bad teams’ and ‘good teams’ are not all alike. Commenters rightly pointed out that there might certain types of teams that create more save opportunities. How about teams with small run differentials? They seemingly play in more close games which could end in saves. How about teams with good pitching staffs? They might keep the score down and create more save situations. Or even teams with good bullpens. They might be able to keep the score close and hand the ball to the closer more often. These are all testable questions. So it’s time to run the correlations — this time with teams since 1990, in order to reflect current bullpen usage more accurately. There are still over 600 team-seasons in our sample. SVO stands for Save Opportunities. This stat can be tricky because it crosses zero. A team that has a -100 run differential and a team that has a +100 run differential are on different parts of the axis, even though, for our purposes, they should really be treated the same. After all, we want close games, we don’t care how they got there. 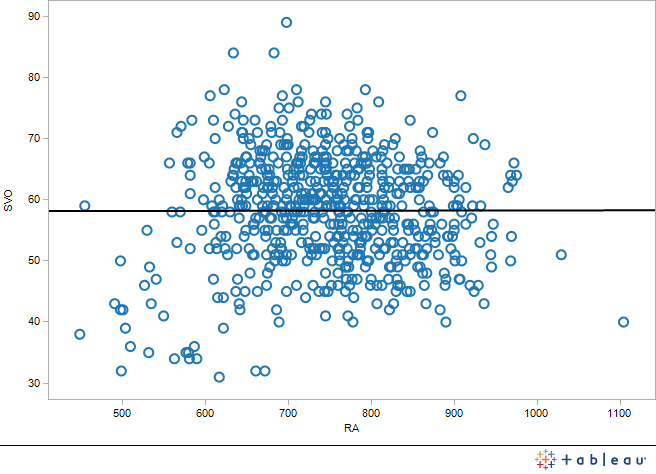 So, in this graph, R+ is actually run differential with the sign taken off. The p-value is terrible, the R-squared is non-existent, and the relationship seems non-existent. For those that were wondering, plotting it with the signs just looked a lot like the plot of save opportunities vs wins — those sorts of things even out over huge samples. Better teams do give more save opportunities, but teams that are in closer games do not seem to, once you try to control for team quality by removing the sign from the front of their differential. Okay, so maybe it’s about a good pitching staff. A good staff will keep scores down and produce more scores within the mythical three-run differential, maybe. Seems to make sense at least. 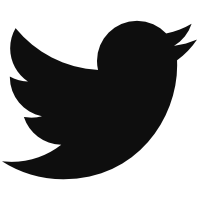 Here the r-squared is basically zero and the p-value is almost one. There’s no relationship here. Just look at those dots on the bottom left — those are the most excellent staffs in the game… and they’re garnering fewer saves chances than the terrible staffs. Strange. Okay, but that’s the whole staff. Once the bullpen gets involved, they can still chain well and hand the ball to the closer in a save opportunity, no? Yes! Better bullpens get more save opportunities. The p-value on this is .0001, it’s significant. So what’s the r-squared? Oh — .055. 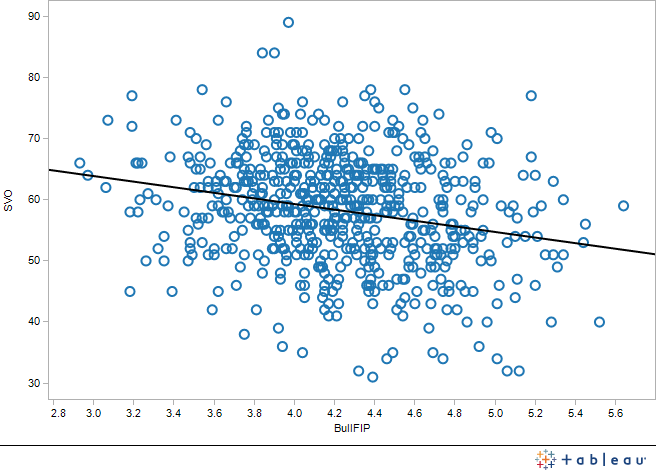 So about 5.5% of the variance in save opportunities can be explained by bullpen quality (as measured by FIP). Wow. Between bullpen quality and team quality by wins, we’re still only at about 13%. This was just a lark. Why not separate out runs scored if we did runs allowed, after all. Well, would you look at that. Another significant finding, but with a .1207 r-squared. Who would have thought that runs scored would have had the most effect on save opportunities in the stats we’ve run so far? If we add this to bullpen quality, maybe we can almost explain one-fifth of the variance in saves. Huzzah! It looks like, if we were building a model to predict save opportunities, the two best stats we have to throw in there are still bullpen FIP and runs scored. It can be frustrating to do a lot of work and find no relationships, but it does tell us something. Close games seem like a semi-random occurrence, and the best thing to do is look for a good closer first and foremost. If you are then faced with the choice between two equal quality closers, consider the closer’s handedness, the team’s other relievers and the team’s overall quality… as a tiebreaker, and no more. 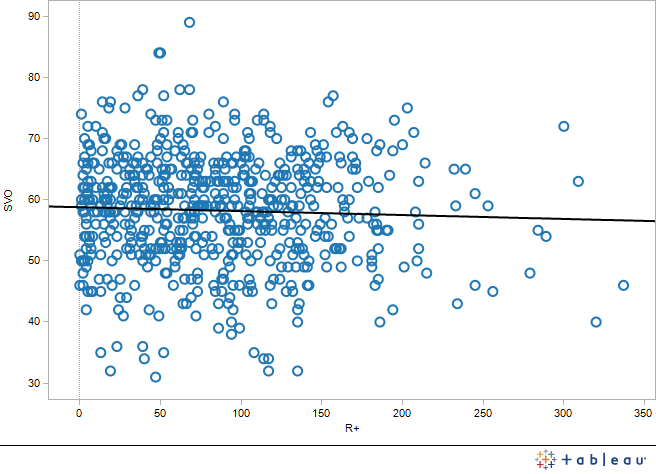 After all, we haven’t seen an r-squared over .1207 in any of these correlations. We hoped you liked reading What Teams Provide the Most Saves by Eno Sarris! Describing r^2 as “explaining the variance” is not how I would put it, but it is defensible. However, you really shouldn’t add together the r^2 from different single variable linear regressions to say what the variables would do together. 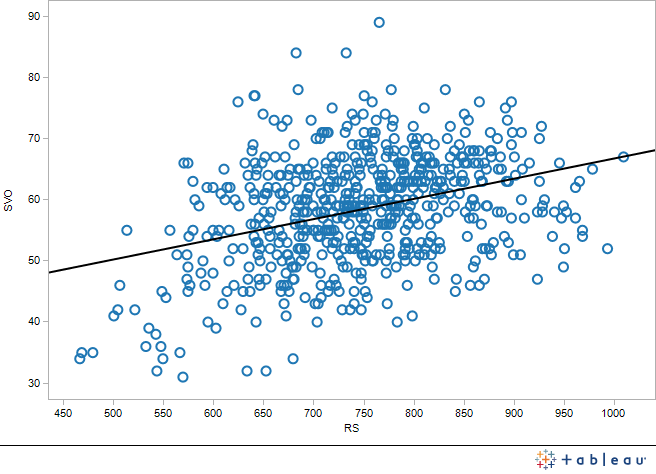 Instead, run a multi-variable linear regression using both variables to see how well they can predict save opportunities. Are you still using the years from 1974-2012? There’s a big difference in eras. For example, in 1975 the Yankees had only 30 save opportunites despite allowing only 588 runs– because they had 70 complete games! Last year the Phillies led the majors with 18 complete games. Yeah I know that in my head but in my heart it feels like you could spit ball that way. I need to learn more about multi-variable analysis for sure. As I said in the piece, I started in 1990 this time. Oops, there it is right there–1990. I also wanted to thank you for this series of articles. Very interesting and thought provoking.